A few weeks back we were attempting to sign a contract with a Mexican distributor to move a European product throughout Mexico. This particular distributor is a pretty tough negotiator and takes his time in making decisions, and the manufacturer wants to know why things are taking so long in setting up distribution. We explained to the distributor that things tend to take more time in Mexico across the board. Business decisions are no exception to this phenomenon, as Mexicans and Latin Americans generally prefer to think about a decision as well as get to know the people with whom they are getting into a potential professional relationship (Although please note that not all Mexicans behave in such a uniform traditional manner. See our post on Monterrey). The manufacturer has specifically designed the product for this particular distributor’s market and we are in talks about giving him exclusivity in Mexico with a solid up front MOQ. Why is the manufacturer frustrated? Why can’t we just move forward? Is this business doomed? Not at all! We just have some cultural differences to iron out! That’s all! We are comparing high context (Mexico, Latin America) to low-context (United States, Canada, United Kingdom) cultures. As mentioned in past blog posts. High and low context cultures hold different systems of values and protocol in regards to business and personal relationships. Understanding this concept is important to doing business in Mexico. The pioneer and leading expert on high and low context cultures was without doubt Edward Hall, who popularized many of his theories in his blockbuster book Beyond Culture. If you are seriously interested in visiting, doing business in, or living in a different culture, we recommend Hall as an excellent read. Low-context cultures such as the United States tend to favor multiple interpersonal connections, and most or all of which have a shorter duration. In contrast, high context cultures tend to value fewer, yet deeper relationships with stronger bonds, be they in business or personal matters. An excellent example of this when comparing business cultures of the United States and Mexico is how an American would prefer to close a deal or review the terms of contract over the phone while many Mexicans feel more comfortable doing the same in person, and possibly over a drawn out dinner (Once again, it is not safe to broadly generalize as “one size fits all” any culture or nationality in regards to such a behavior as Mexicans as well as Americans may behave differently in such a situation based upon their levels of education, region, industry and corporate culture). So once again, this is one reason why this closing process is taking so long with this particular Mexican distributor (The distributor actually took us out to a 5 hour lunch with several courses after telling us he would think about things and wanted us to come down on price). The European manufacturer is approaching the process from a low-context point of view while the Mexican distributor possesses high-context cultural values (See our book as we have an entire chapter on the concept of time in business in Mexico as the contributors do an excellent analysis of this phenomenon as it pertains to the nation’s high-context culture). Does this mean that we won’t close the deal? Absolutely not! We are confident that we will. One of the reasons that we are confident on our end is that ours is a bi-cultural firm and we are accustomed to navigating between cultures and serving as an intermediary between Western and Mexican firms. For foreign firms and individuals interested in doing business in Mexico or with Latinos in the United States, our intercultural consulting services will enable you to maximize your success in such business endeavors. Returning to our anecdote on the Mexican distributor and European supplier, in their frustration over the drawn out negotiation process, the manufacturer mentioned to us “Why don’t you tell him that if he doesn’t take our offer, that you will go with his competitors or sell into his market directly since we have already developed the product and you have those other contacts in Mexico.” WHOAAAHHHH!!!! BAD IDEA!!! Actually, a Mexican national sales manager from another firm and I had a good laugh over this manufacturer’s request and agreed that this would be a terrible idea. Why is this a bad idea? If we were in talks with a distributor in Baton Rouge, Des Moines, or Reno we would have no problem laying down this law with the distributor come crunch time. In fact, I would say the same thing to almost any Canadian or Western European distributor. So what makes Mexico different? Why can’t we “Tell it as it is” to this man? The answer is simple. Once again we return to the differences between high-context and low-context cultures. In low-context cultures, communication tends to be more direct and to the point. Individuals in such cultures must hear or read a direct order, point, etc for it to be taken as valid. In Mexico’s high context culture, communication is much less direct as many ideas are inferred through vague communication and direct remarks such as “If you don’t sign I will go with your competitors” can be taken as rude, over-aggressive and insulting. With the case of this Mexican distributor, it is already INFERED that we will go through his competitors should he not sign with us. He knows this; and it doesn’t need to be mentioned, as it’s not cordial. Once again, in a low-context culture like America’s it would not be seen as rude or threatening to advise a distributor of plans to go with his competition should he walk away from the table. It would simply be seen as direct, professional communication in letting the distributor know that he is the manufacturer’s first option. In this Mexican case, the overall context of the situation did the speaking for us and the Mexican distributor understands, we didn’t even have to tell him! The moral of this story is that culture matters. Trying to do business in Mexico or other countries according to the customs of your own quite often doesn’t work. 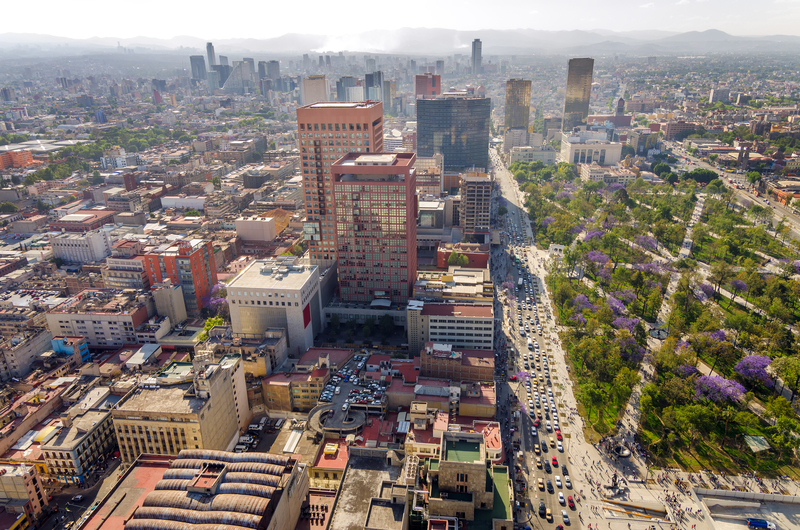 We often have firms from Western countries that contact us with inquires on sourcing or market entry projects in Mexico and demand that things be done just as they do them in Sydney, Chicago, London or Vancouver. In most of these cases we decline to do business with the prospect as we feel that the project will be a failure because of the lack of recognition of Mexican ways of doing business in regards to sales and marketing, purchasing habits, supplier client relations, etc. (not to mention Mexican law). In short, many firms feel that a cookie cutter approach to operations, management, sales and marketing is the way to go. Along with other factors, we as a firm elect to take into account culture when making business decisions in Mexico. We find culture to essential be in assisting with Mexican market entry projects or serving as representatives for foreign firms with their Mexican distributors, locating Mexican suppliers, or consulting foreign firms on Mexican business practices. Were we not bringing cultural differences into the equation of our current negotiations with a European supplier and Mexican distributor, both parties may have already walked away from the table. Instead we are on the brink of setting up a Mexican distributorship that unites nations, continents and yes, cultures.